Styled with freesia skirt . 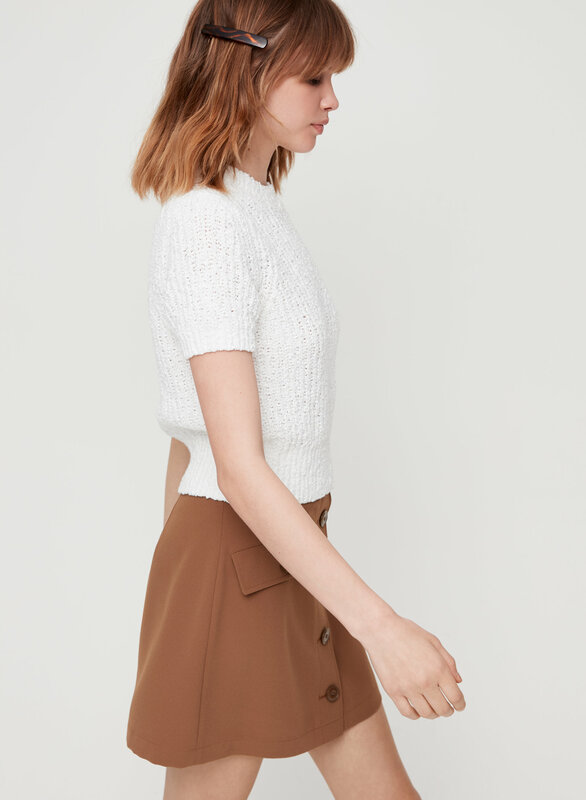 Breezy knits: your transitional dressing MVP. 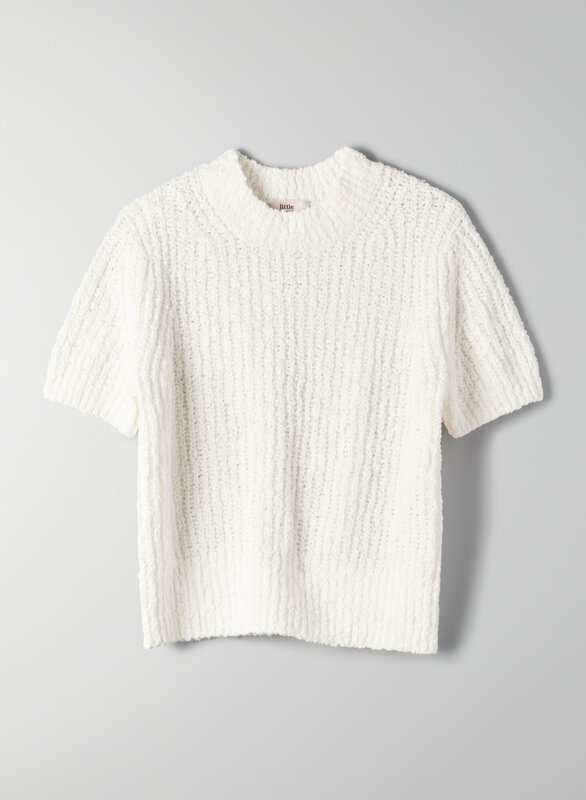 This is a shrunken, mock-neck sweater made with a lightweight, textural, cotton-blend fabric.